Fubara Anga is the head of the ǼLEX Aviation, Maritime and Financial Services Practice Groups. Qualified to practice law in three jurisdictions including Nigeria, Ghana, England and Wales, he has a strong multi-disciplinary background in law, economics, management and fiscal policy. He appears as counsel before all superior courts in Nigeria and has acted as counsel or party appointed arbitrator in several arbitration proceedings. 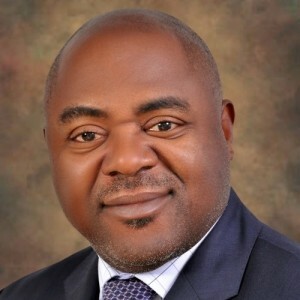 He acts as Nigerian counsel for many international flag carriers and several independent airlines in matters ranging from aviation financing, commercial, labour and employee issues, regulatory, passenger, cargo and baggage claims to insurance disputes. Fubara was invited by the World Bank as an expert to a joint workshop in Montreal with ATAG and ICAO on ‘Maximising Civil Aviation’s Economic Impact’. He was chairman, legal and regulatory subcommittee, Nigeria’s Federal Ministry of Aviation National Steering Committee on Safety, Quality Assurance and Reforms. He advised the industry and the national regulator, the Nigerian Civil Aviation Authority (NCAA) on the Nigerian Civil Aviation Act 2006. Mr. Anga was appointed by the Nigerian Civil Aviation Authority as a member of a legal review committee for the revision of the draft Nigerian Civil Aviation Economic Regulations and is also a member of the Appeal Panel on Safety Violations, set up under the Nigerian Civil Aviation Regulation. Fubara has been invited as a resource person at several aviation-related courses, seminars and conferences around the world. These include the annual IATA aviation legal seminars, ABA aerospace law forum and International Bar Association conferences. Fubara Anga was for over five years the only Nigerian Aviation Expert in Who’s Who Legal. He is described as a “leading individual” by Legal 500(2015).